Not Enough Items or NEI - this is one of the most popular mods for the PC version of Minecraft. Mod allows you to change the time, game mode, and you quickly get the necessary items. Change the creative and survival modes. Removing the effects of potions. «NEI» mod adds a several new and useful features. Mod similar to TMI, but the features it has much more. At the moment, it is an unstable version 0.11, which works, but with bugs. 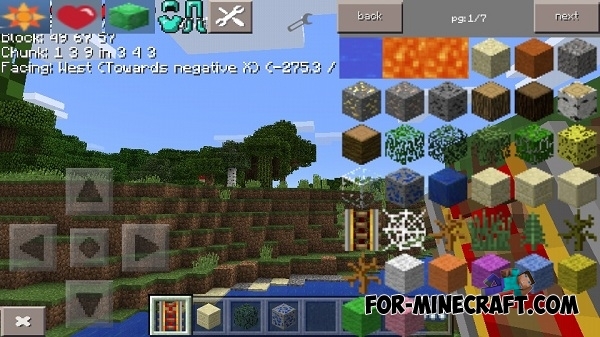 Critical hit mod for Minecraft PE 0.10.4With features like this mod you will very likely kill the enemy with a tough blow. This mod is an absolute copy of the PC version of the mod for Minecraft on critical hits.